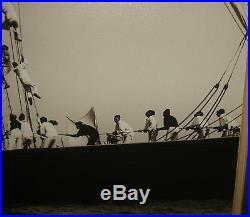 ORIGINAL BEKEN OF COWES'PRINCE OF WALES BOARDING BRITTANIA' PHOTOGRAPH. This is just a great original piece. 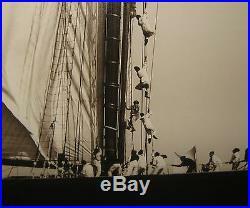 I just picked up a great collection of original sailing photographs. 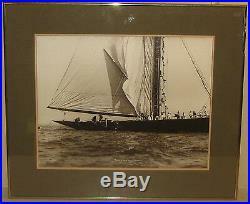 A collection of Beken of Cowes originals as well as a couple of scarce original photographs by important marine artist Norman Fortier. 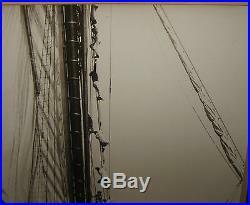 Beken of Cowes is one of the most important maritime photographers in the history of photography. A family business that has been in doing this for over 125+ years. These photographs come from around the 1980s. Apparently the family bought a bunch of them and framed many of them up for a great presentation throughout their house. 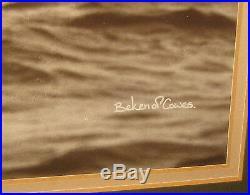 Title and Beken of Cowes in white ink along the bottom. 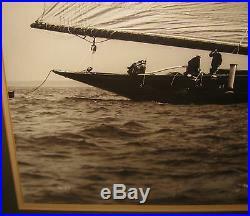 Photograph is in excellent condition. Two small splits in the paper along the bottom margin and one along the top. Were early in the paper production and looks like they were before the printing. Double archival matte and silver frame are complimentary and ready to hang. 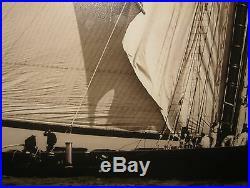 If you collect Beken or sailing photos, make sure you check my other listings. 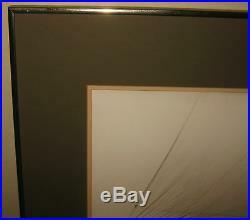 Frame measures 23 x 27 inches. 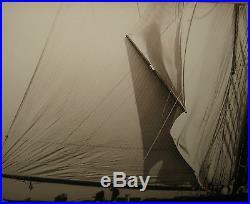 CHECK THE PICTURES ON THIS GREAT PIECE. If you have any questions regarding the work, please dont hesitate to ask. 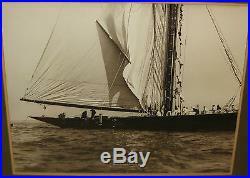 Pictures are an excellent indication of condition. I guarantee and stand 100% behind everything I sell. No reason to open up any sort of cases. Just simply contact me and I will handle any and all problems. 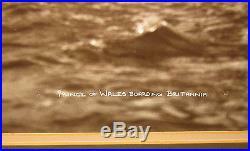 The item "Original BEKEN of COWES'Prince of Wales Boarding BRITTANIA' Sailing PHOTOGRAPH" is in sale since Sunday, January 1, 2017. 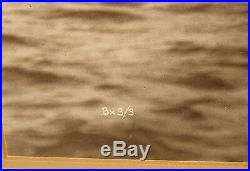 Size Type/Largest Dimension: Large (Greater than 10in.